From an award-winning adventure and science journalist comes an eye-opening exploration of a burgeoning environmental phenomenon and the science coalescing around it. 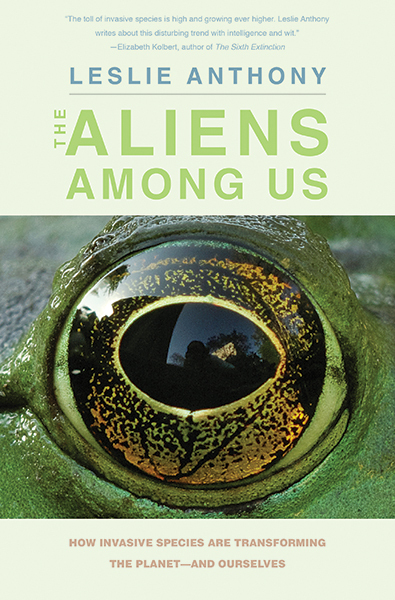 Leslie Anthony leads readers on adventures physical and philosophical as he explores how and why invasive species are hijacking ecosystems around the globe. Weaving science, travel, history, and humor with diverse examples to chart and describe the phases of species invasion and human response, Anthony introduces field researchers and managers who seek to understand the biological, social, and economic aspects of this complex issue, and whose work collectively suggests the emergence of a global shadow economy centered on invasives. Leslie Anthony is an award‑winning science and adventure journalist, and author of several books. His work has appeared in Explore, Canadian Geographic, and numerous other publications.